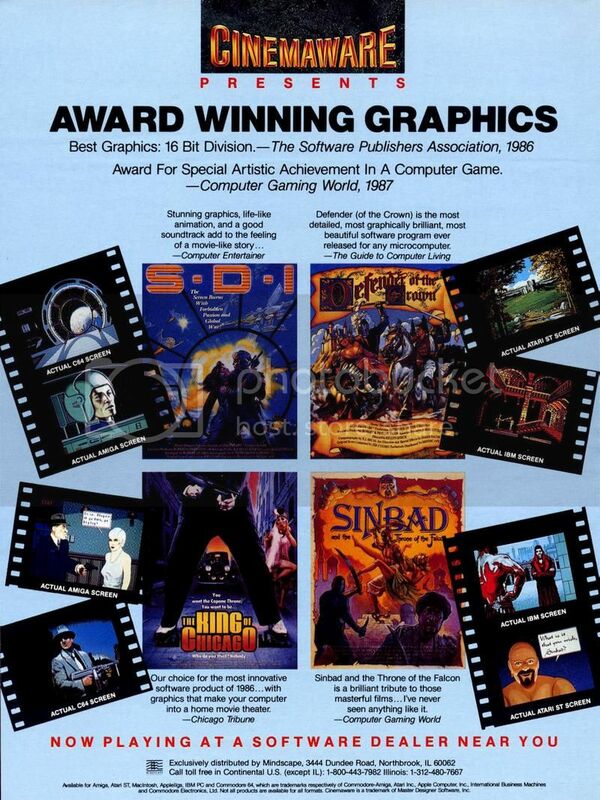 01/08/14 – Added Cinemaware original advert thanks to Nate. 10/04/14 – Added details regarding the programmer being kicked off project. No name yet! 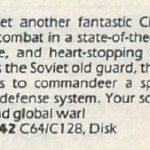 As well as the successful Defender Of The Crown and Rocket Ranger, Cinemaware were behind the game SDI for the C64. 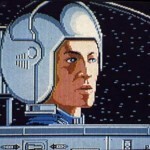 The game was advertised in some of the popular computer magazines, and even featured what looked like to be some C64 screenshots. One of these has been kindly scanned by Martin from Stadium 64, which looks to be one of the inbetween screens from the game. This was from a Swedish magazine back in 1988. A US Sales catalogue shows the game as for sale too. Contributor Nate found the magazine advert, which lists the shots as C64 based … so a C64 version DOES exist! SDI is not to be confused with the SEGA SDI game which was in the arcades of the same name. This was produced in a similiar mould to DOTC and Rocket Ranger with the occasional 1st person perspective scene. 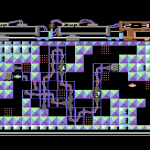 It is not quite known exactly why the C64 conversion never made it like the other titles. It can only be assumed that Cinemaware moved onto the higher platforms and away from the C64 at that time. There are also no credits at this point in time, but it is assumed that it would be the same developers as those behind the other released games. Confirmation needed on this. 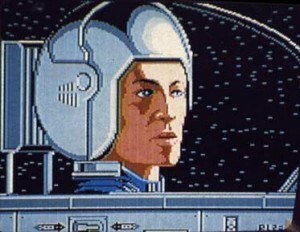 Bob Jacob revealed to an interview with RVG, that the C64 version was delayed due to the programmer not being quite up to the task (at the time – but later becoming very good). We’re not completely sure though who the programmer was, so hopefully Bob can be prompted to remember. A company called “Moltech Software” advertised the C64 version of SDI for sale in ‘Svenska HEMDATOR Hacking’ Issue 5/1987. Sadly not King of Chicago though. For the time being, GTW wishes to try and obtain more screenshots, and to eventually find out who was actually behind the C64 version. Peter Weighill obliged in 2014, by finding another advert which has another new C64 screenshot! Hopefully time will tell if there is much more to find! Who was behind it? Although Cinemaware are relative newcomers to the software scene, they’ve already made a big name for themselves. Their three 16-bit games, Sinbad And The Throne Of The Falcon, Defender Of The Crown and SDI have been widely acclaimed, and the Commodore 64 version of Defender Of The Crown has sold a record breaking 10,000 disks! How are they going to follow their successes? 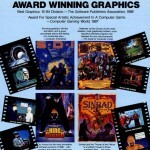 Julian Rignal spoke to the enthusiastic President of the Cinemaware Corporation, Bob Jacob, about future presentations. Cinemaware first launched themselves into the software world with the Amiga version of Defender Of The Crown. 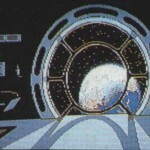 The stunning graphics and sampled sound impressed many, and even though the game was a little easy to complete, it instantly became a yardstick for future Amiga software. Shortly after came Sinbad And The Throne Of The Falcon, which although not quite so visually impressive, had more depth in the gameplay. So, what now? The demo of King Of Chicago that Bob brought along certainly looks very impressive – but the early demos of two releases scheduled for spring next year look even better! The first is Rocket Ranger, ‘a Forties cliffhanger serial featuring Nazi spies, trips to the moon and an unflappable hero’. Thanks Nate! Adding to scans now! Thanks for the heads up! … unfortunately they have accidently put up the Activision/SEGA conversion (which is what I thought it might considering its a TAP image). I’ve mailed them to let them know, and also at the same time see if they can shed light on the C64 conversion.